The match 16 of the Hero Hockey India League 2015 will witness the Delhi Waveriders roar at Dabang Mumbai at the Mahindra Hockey Stadium in Mumbai at 7 pm.Â Â The Waveriders have already defeated the Mumbai side in their last face-off at the Major Dhyan Chand National Stadium by a score of 3-1. This win has boosted the poise of DWR and all its players are determined to repeat the same performance in the upcoming match too. 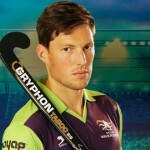 Hockey lovers are expecting great performances from Simon Child, goalkeeper Erasmus Pieterse and Captain Sardar Singh. Sardar is quite confident about the upcoming game and is determined to grab favorable points to climb upwards in the scoreboard. Seeing their level of confidence, the tagline of Delhi Waveriders: Rok Sako Toh Rok Lo (Stop Us If You Can) appears quite relevant. The team is currently at the 3rd position in the scoreboard having 10 points under its belt. All DWR fans are looking up to the strong players where each one of them has a crucial role to play. DWR has got a strong defense and is focusing on consolidating its weak points. The players are working upon different strategies and are planning to use strength to their level best. They are training themselves hard under the guidance of coach, Cedric Dâ€™Souza who is confident that his boys will make players of Dabang Mumbai taste defeat once again!